"Even the Ryan Adams thing.... I just feel like I wouldn't blame him for anything anyone else did"
Lizzy Goodman's deliciously salacious Meet Me in the Bathroom was full of juicy tidbits about New York's noughties rock scene. The book was so beloved, in fact, that it's already being turned into a documentary series. One of its main subjects is not exactly stoked on the project, however. Julian Casablancas, frontman for the Strokes, has taken issue with the book. For starters, he's not too keen on the fact that the band didn't even interview his wife, Juliet Joslin. "They didn't interview my wife, who was basically the Strokes' co-manager for 10 years," he told Beats 1's Matt Wilkinson. "They didn't even interview her and they interviewed other people — I'm just not super down with the book." Further, he expressed frustration with the idea that he blamed Ryan Adams for getting his bandmates hooked on heroin. "And also even the Ryan Adams thing, I mean I might have been the one that did it so I don't know, because you just speak in an interview, but I just feel like I wouldn't blame him for anything anyone else did," Casablancas said. "I'm just not into things, throwing people under the bus for any reason or… You know what man, let people enjoy it — I shouldn't be involved, I don't care to be honest." 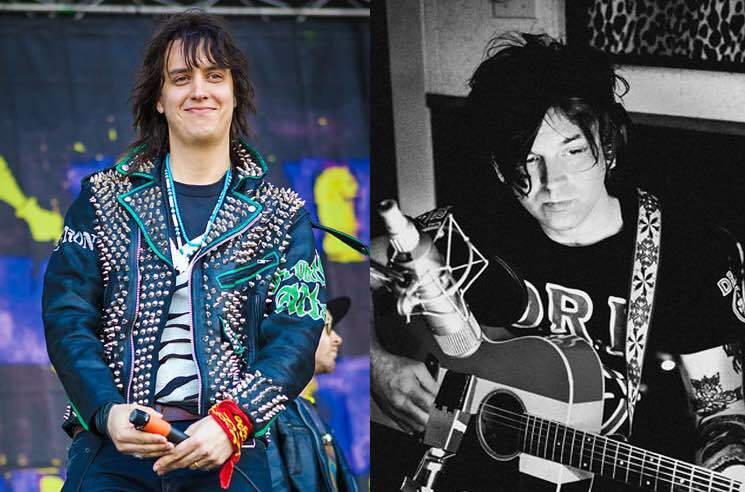 Listen to Julian Casablancas' interview with Matt Wilkinson below.